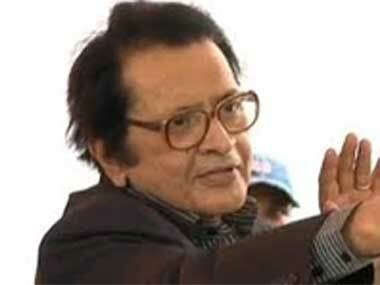 Almost everyone from the film industry has put forth their opinions on the Padmavati row, and the latest member to join the lot is none other than veteran actor Manoj Kumar. In a recent media interaction Manoj highlighted on how the Padmavati controversy could be nipped in the bud, and why he thinks the whole chapter is unnecessary, terming it ‘washing dirty linen in public’. The actor called the drama over the content of the film, ‘nonsense’ and also claimed that both the protestors and the filmmaker is at fault here. With chief ministers of Rajasthan, Madhya Pradesh, Uttar Pradesh, and Gujarat calling for a ban on the film, the political-religious fringes have been vying an all India ban on the film. The major allegation against Bhansali and team remained that they have distorted history by showing a romantic angle between Rani Padmavati and Alauddin Khilji. Though the makers have sternly maintained that there’s no distortion of history in the movie, the protests seem to get more intense with every passing day. “When I started to make films, I started writing about Bhagat Singh in my earlier days. There were some incidents which I had to conceive within the framework. Every film made later on Bhagat Singh featured the scenes which I had conceived. You have to imagine some linking sequences within the framework,” he said. Several years back, similar to Padmavati, Manoj Kumar’s Kalyug Aur Ramayan also faced displeasure from the censor board. “There was a song in the film Kalyug Ki Sita Milne Judge Ko Chali/Sau Chuhe Khake Billi Haj Ko Chali… I was not talking about Ram-Sita here. It was a novel subject to me but there was a huge uproar by some groups back then and they created ruckus at the censor board,” he said recalling the incident. Padmavati which was slated to release on December 1, has now been deferred indefinitely by the makers of the film.